A few days after announcing on Citi TV that he wanted to meet the Chief Executive Officer of the Accra Metropolitan Assembly, over the level of sanitation in Accra, the capital city, reggae artiste Rocky Dawuni has made the move. 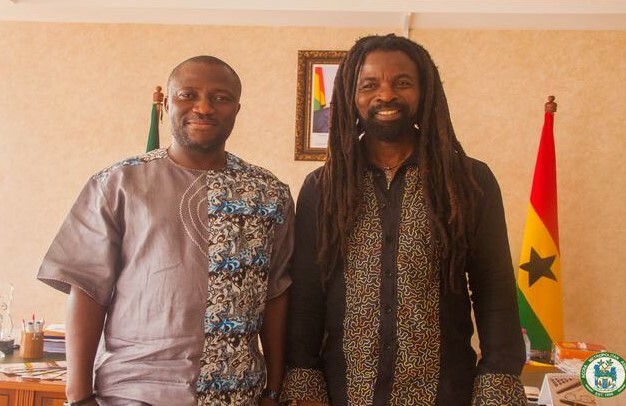 The International Afro roots music star and environmental activist told AJ Sarpong on Citi TV’s ‘Hall of Fame’ that he was planning on meeting the Chief Executive of the AMA, Mohammed Adjei Sowah to discuss how best to help improve sanitation in Accra. The Grammy Awards nominee was appointed the Regional UN Goodwill Ambassador for Africa last year to generate support and publicity among his audience for UN Environment’s messages. The ‘In Ghana’ singer told the AMA boss about his passion for environmental issues and announced plans to launch a tree planting initiative in the city. The AMA boss said issues about the environment and sanitation were of high priority to him hence the Assembly’s decision to join the Breathelife campaign.